We don’t know about you, but this is one of our favorite reports of the year! 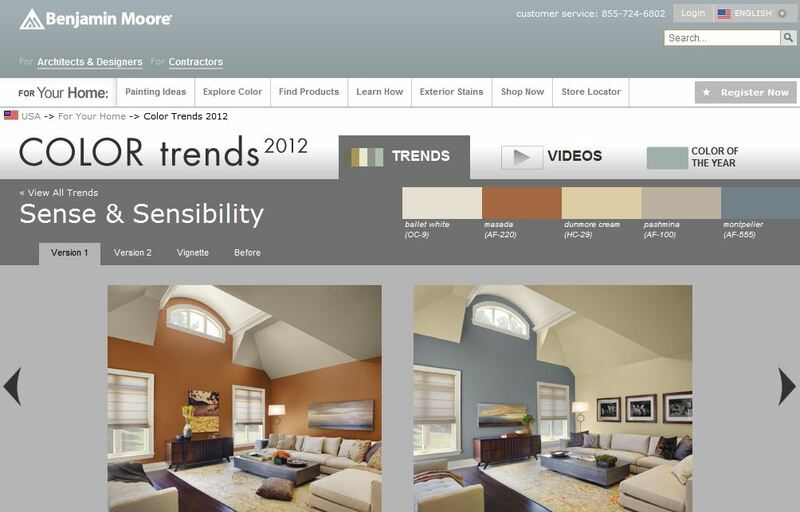 We are absolutley loving this color palette…it’s rich like autumn colors should be, yet bright and bold. Which one is your favorite?? Remember, you don’t need a full room makeover to incorporate these colors into your home. Mix and match what you have with a nice set of new chairs, a rug, or even accessories like a vase. With every new year comes a new pantone color aka THE color of the year. Get with it people!! Be sure to get your hands on some Emerald Green accessories for your home! What is more chic than BRIGHT walls? DARK walls. Bright tones on your walls are so last year. My latest obsessions are BLACK, GRAY and NAVY BLUE walls. Dark walls are a great way to create a sophisticated, beautiful oasis in a space. Black, navy, and gray are staple neutrals in everyone’s closet, and these colors transfer from fashion to interiors seamlessly. There is a reason why black is considered timeless: Think the “little black dress”. Left: Elegant black dining room. Below: Black walls with geometric wallpaper. GRAY is the perfect color to compliment any décor. Save the bright colors for your fabric and go with a bold dark gray on the walls. Color combo: Emerald and Gray. Gray is the perfect color for traditional rooms with a mod twist. Navy doesn’t have to be nautical. Check out these beautiful Navy blue rooms. Below: Color combo: Navy and Rust Orange. OR, if dark colors scare you, try an accent wall. Dark doesn’t mean dreary. Elevate any space with a dark color. Black is back. Make your interior doors POP. Bright paint colors aren’t just for Exteriors. Spruce up interior doors and add a POP of color and sophistication with Paint, Fabric, Nail heads; the possibilities are endless. This high gloss black door gives this traditional entryway a more modern, sophisticated feel. This high gloss PURPLE door POPS against white walls. Right: LAVENDER POCKET DOORS leading into a formal living room are a subtle way to accessorize. If you’re looking to add some hardware, try using NAIL HEADS. They will create appealing LINES and add some INTEREST. These KELLY GREEN doors add TEXTURE and COLOR to a hallway. SILVER NAIL HEAD details contrast with RED wallpaper. REPURPOSE old doors to add some ARCHITECTURAL DETAIL to a room. Like these old BARN DOORS. Whether you’re entering or exiting a room, a little detail on a door will add interest to a space. 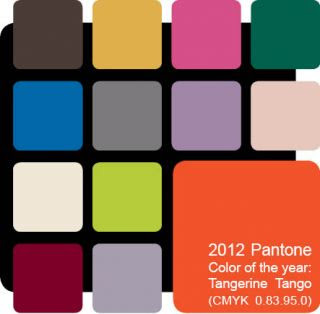 Pantone’s Top Color For 2013 IS ……. ….a shade of blue- Monaco Blue to be exact. 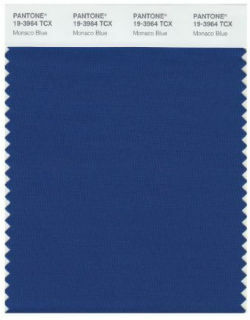 It has been described as a duller version of navy and cobalt. 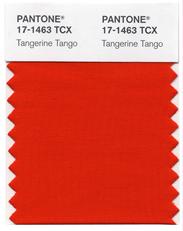 If you compare it to last years color…..Tangerine Tango, it certainly doesn’t stand up to its feel good brillancy…does it? Pantone Color Institutes’s executive director, Leatrice Eiseman, explained to WWD that the shade “speaks to the practicality that we are seeing in society. You have to realize there is still concern out there for the economy.” Speaking of practicality, note that the runner up color is also a blue—Dusk Blue. 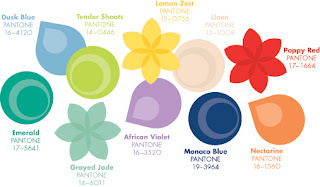 The third and fourth most popular colors are both greens, Emeraldand Grayed Jade, and the rest of the list is as follows: Linen, Poppy Red, African Violet, Tender Shoots, Lemon Zest, and Tangerine’s not-as-cute cousin, Nectarine. Having trouble choosing colors for your house? We are so excited about Fall! Not only do we see new colors on the leaves outdoors, but also INSIDE in your home!